1. 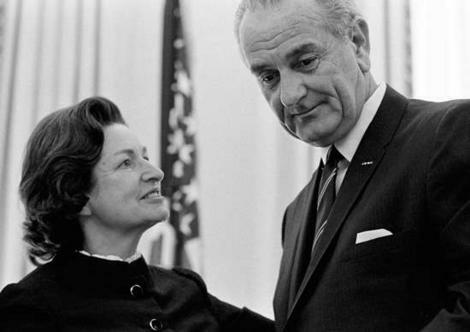 Marie Smith, The President’s Lady: An Intimate Biography of Mrs. Lyndon B. Johnson (New York: Random House, 1964), 39-40. Robert Dallek, Lone Star Rising: Lyndon Johnson and His Times, 1908-1960 (New York: Oxford University Press, 1991), 115-116. 2. Max Holland, ed., The Presidential Recordings: Lyndon B. Johnson – The Kennedy Assassination and the Transfer of Power, November 1963 – January 1964, Volume One (New York: W.W. Norton, 2005), 3. Lyndon Baines Johnson, The Vantage Point: Perspectives of the Presidency, 1963 – 69 (London: Weidenfeld and Nicolson, 1972), 8-12.